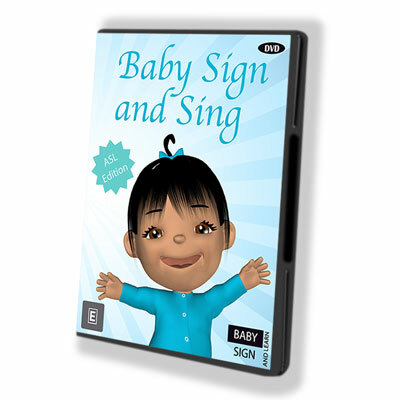 Your baby or toddler will love signing along with the adorable Baby Sign and Learn animated characters in the Baby Sign and Sing nursery rhymes DVD. The DVD is divided into two main sections: Play Song and Watch Tutorial. This makes it entertaining for your child, as well as explaining the signs used in more detail for the adults. The Play Song section is the main attraction with the cute animated characters singing the nursery rhymes and signing the American Sign Language keyword signs. The Watch Tutorial section features our friendly presenters explaining the signs used in each rhyme as well as providing some tips on how to perform the signs.